Muslim-raised Kamal Abdulrahman Al-Junubi, originally from Kaduna in northern Nigeria, converted to the Christian faith at age 16. This bold decision ostracized him from his community, driving 22-year-old Kamal, his wife, and first-born daughter to seek refuge in the Netherlands. New to the country, Kamal sought employment to support his family. About five years after arriving, he hosted a large event in honor of his third daughter’s birth, inviting numerous friends and neighbors, many of whom were also from his home country. When he served suya, a barbecue specialty from his region of Nigeria, guests were blown away. Confirming that he in fact made the meat himself, his friends said Kamal found himself a job. Unavailable in the Amsterdam area and usually imported, suya was a product in high demand. Testing the waters, Kamal and his wife invested 25 euros and prepared five kilos of meat. The trial was a success, opening doors to other opportunities. Gaining additional exposure at a festival, catering jobs poured in. 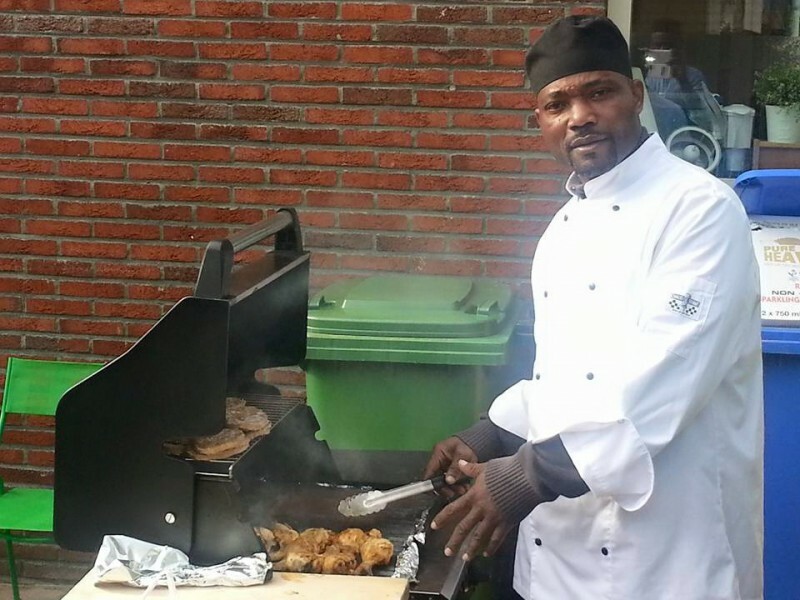 The couple finally decided to open Obalade Suya in Amsterdam Zuidoost (South East), serving delicious traditional Nigerian cuisine. The home-cooked food and warm hospitality is a sensation, bringing smiles to people’s faces and providing a place where families can come together and share a meal.